Confession time: I don’t always know what I’m going to work on in my solo practice. Yes, the person who wrote THE Solo Practice Guide for Ballroom Dancing still gets stumped. Maybe it’s not so much “I don’t know” as “I don’t know if I want to work on what I know I should work on.” As I wrote last week, there are always plenty of options. But I confess, sometimes I don’t feel like working on what I know I should work on. Why? Well today, if I’m being completely honest, it was because it was new and I wasn’t good at it yet. Practice builds confidence, no doubt about that. But if you’re just beginning to learn something new, you may find it difficult to get started on the practice because the confidence isn’t there yet. How’s that for a catch 22? 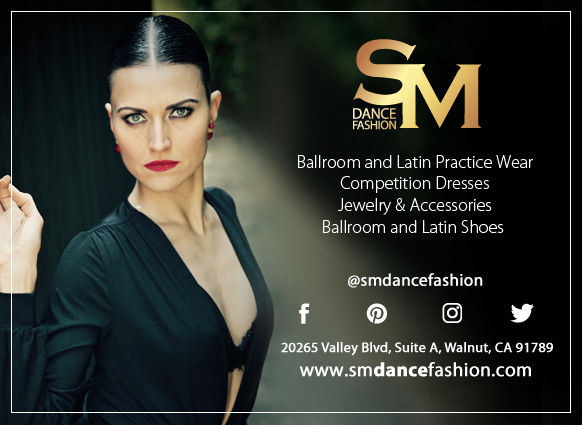 Up until Embassy Ball, I knew exactly what I needed to work on in my solo practice – my four closed silver routines for competition. I felt solid in the foundation of each dance and so practice was meant for polishing and strengthening. Even before I felt solid, I still had clearly outlined choreography to study. It was easy to structure my practice sessions. Now things have changed. We’re moving on from closed silver into a more advanced level of dancing, which requires new routines. The fun part of moving into the Open level is you really get to use your creative muscles to build something true to the dance but uniquely you. That takes time. More time than just one lesson, which is all I’ve had in the last two weeks. In that one lesson, Teacher and I explored ideas and concepts for our open waltz routine. He showed me some of the more advanced moves that we could incorporate and I did my best to relate to him what waltz meant to me, without it turning into a full novel or film that could never be fully realized in a minute to minute-and-20-seconds dance (hey, he asked me to tell him a story!). I left with homework that included a drill and YouTube research to figure out what I liked and didn’t like. Then it was Sunday again and time to go to the studio for my weekly solo session. I knew I needed to practice that drill, and I could warm up with my silver waltz routine to get me in a waltz-y mood. But then what else would I work on? In my lesson, we also talked about my arm styling and how it was even more important now to finish my lines and really fill the space around me. Along with the YouTube research, Teacher also suggested I play with different arm styling I saw that I liked to see if it actually felt comfortable and right for my body. So that was something else I knew I should work on, but was reluctant. My anxious brain can be a bit of a drama queen. This is why I usually save my arm styling practice for when I’m at home, at least until I feel like I know what I want to do and it just needs repetition. But I was at the studio for my practice, not at home, and if I was going to be an Open-level dancer, I needed to get more comfortable with exploring my movements in that environment, whether or not I knew what I wanted yet. It’s part of the creative process. So I went into one of the back rooms. My excuse is I wanted to be able to play a waltz on my phone without my headphones, so I wouldn’t need to hold the phone, and without intruding on the other lessons. That sounds reasonable, right? The other reason is I was chicken and didn’t want others to see me playing around, which I assume looks foolish and stupid in the eyes of others. It probably doesn’t. They probably wouldn’t have even noticed since they would have been focused on their own dancing. But my self-confidence in taking on this new challenge after winning Embassy has faded a little with the passing of two weeks and only 45 minutes of work with Teacher. It’s just a bump in the road, kind of like when we started working on Standard and I was confronted with the fact that my technique was not as strong as I thought it was. Going back to the drawing board to create new routines is reminding me that I stall very quickly when I don’t have clear outside direction for what my arms are supposed to do. At least when other people are around. This isn’t a “I can’t do it, I’m screwed” blog post though. This is a “recognizing where I’m going to meet resistance” post. New and scary things are on the horizon, but I’ve faced new and scary things before and came out a World Champion. Now I’m armed with more experience and skill. My “playing around” with arm styling will still contain more quality movement than it would have two years ago, or even one year ago. My mind doesn’t go completely blank when I try to think of possible movements because now I have past routines to refer to. My solo practice is going to look and feel different while we’re in this creative process. I don’t have four complete routines to review and break down each week. I’m still practicing though. Even if it is in the back room where no one can see me. Completely hear you on the styling – its something I have written on recently as I prepare to perform. I feel like almost nothing looks right! So hard to convince myself to practice it!